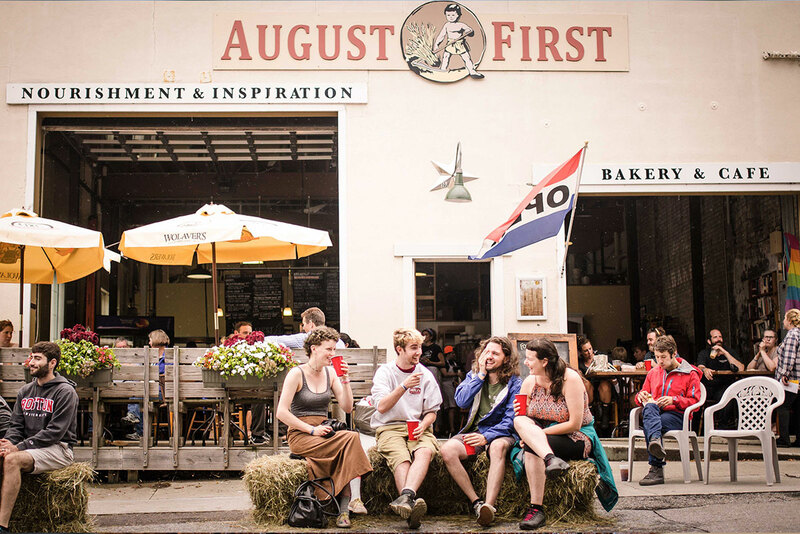 August First is a locally-owned Bakery/Café in downtown Burlington, Vermont. August First opened on August 1, 2009 by husband and wife team, Phil Merrick and Jodi Whalen. Phil studied artisan bread baking in Southern California in the mid 90’s with Frederick Holmshaw, and then moved east to open Merrick’s Bread & Coffee in the tiny hamlet of Wadhams, NY. There he baked European style sourdough, baguettes, seven grain, and other specialty breads, roasted his own coffee, and made granola and morning pastries. Jodi Whalen is has lived in Burlington since 1992. She brings a variety of experiences to the bakery, all a culmination of a creative and unique professional life. At the age of 18 she was cooking steak au poive and bananas foster tableside at a formal French restaurant in Pennsylvania, at 21 she was a signmaker for IKEA in Baltimore. At 24, she sold and marketed Catamount ales, one of the first microbrewed beers in the nation. Since then, she’s helped to develop an award-winning employment program for people with developmental disabilities, and worked again in marketing at Magic Hat Brewing in South Burlington, VT.
Phil and Jodi met and fell in love in 2007. Phil sold his bakery and moved across the lake to Burlington, to make a new home with Jodi and her two children, Olivia and Caleb. 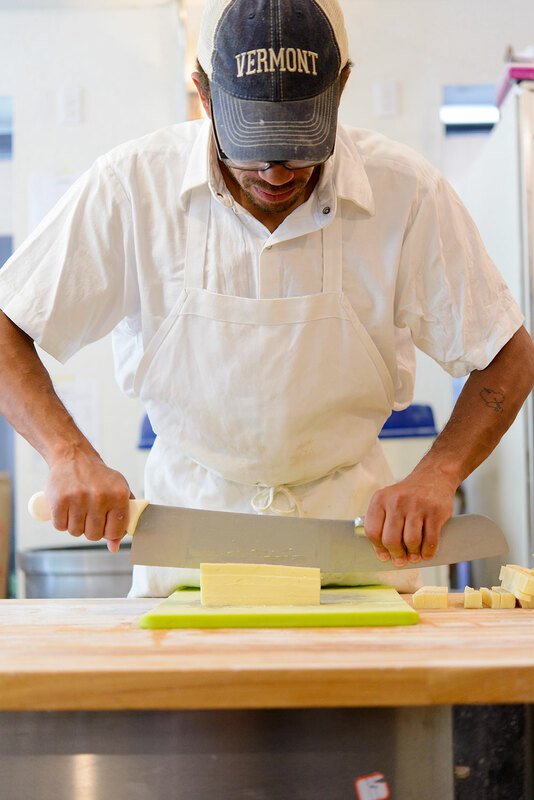 Together they bring together their passion for great food and their love for strong community ties in their new bakery. Their goal is to create a new place that feels like it’s been there forever…. a bakery that leaves you feeling nurtured and warm, happy and fulfilled. In honor of Hayden, who passed away in 2008, and his former wife Rose Marie, who visited us at the bakery and told us how she remembered the night the poem was written, we keep geraniums in our windows.